Afterward, I spent the LONGEST time mixing. Ended up using about 3 cups of tapioca flour to make it not stick (ran out of cornstarch), and also, figured I was using the wrong cream. Neutrogrena non-grease hand lotion worked perfect for me. 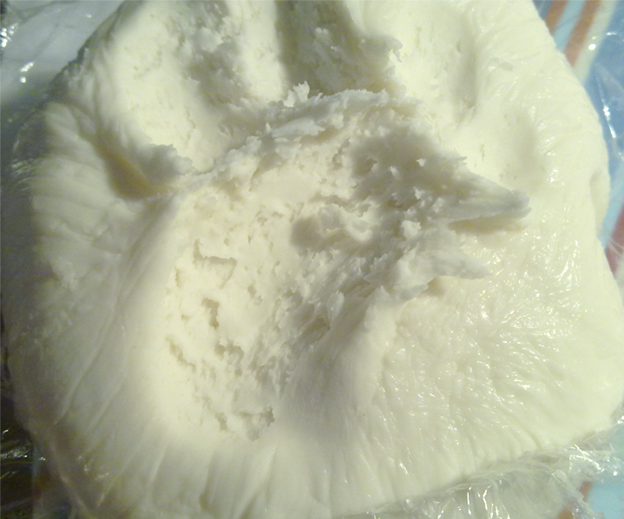 Here is what my successful batch looks like. 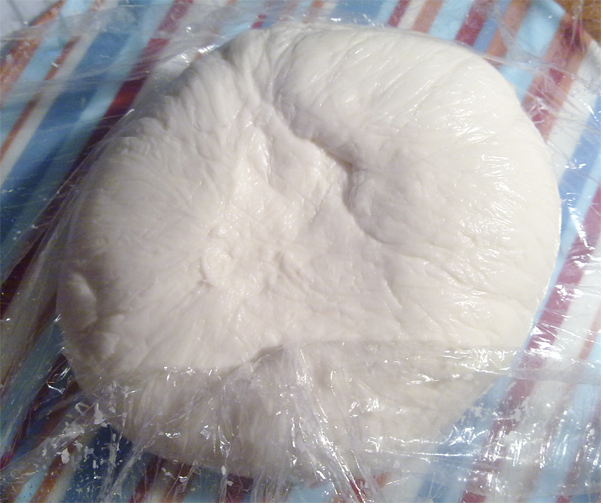 From the recipe, I got about 320g of cold porcelain. It’s actually quite a small amount but this will last you a long time if you make small items. Here is what it looks like after I pulled a piece out. As you can see, it’s not very smooth. This is most likely because of all the extra tapioca flour I added in while I was mixing. 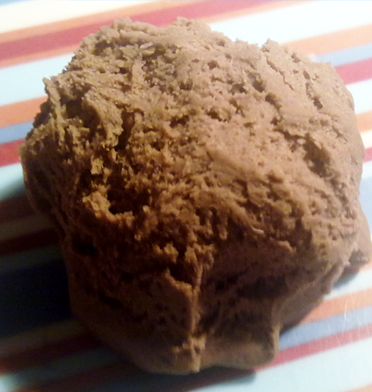 After mixing the clay around for a bit, you can see than it becomes really smooth. Here is just something with ears. As you can see, blending is still tricky. You don’t really get that same smoothness in Cold porcelain compared to polymer clay. It spreads but not fully blending into the actual clay. And here is just something to show you the textures again. I guess this is the same as before, it holds textures so-so. 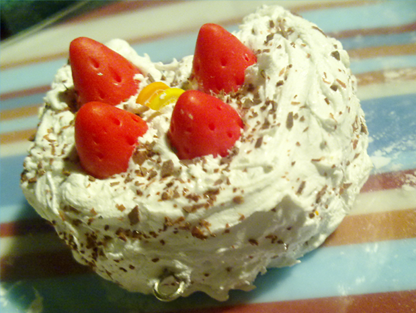 Making things like cakes will be hard with cold porcelain so yes.. I don’t really think you’ll be doing a lot of detailed textures. Here is something else I did earlier. 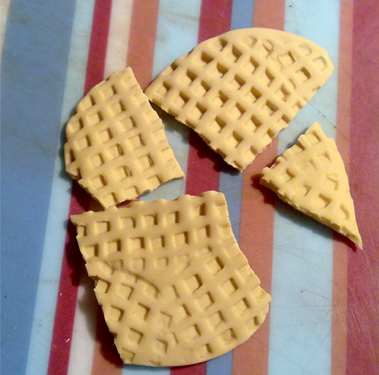 I made a waffle pattern and imprinted it on top of the clay. This was rolled quite thin so the clay dried in about half a day ? Also, once dried, it’s kind of brittle. When you bend it, it just snaps so yes. I don’t even know why you want to snap it though, I don’t know why I did this ahaha.. This is the piece of clay dried ! Which is freaking awesome. Also, I didn’t have any measurements so I’m not sure if it shrunk or not. I think it took about 1 1/2 days to dry fully ? It’s probably due to Auckland weather but yeah, it has been raining so that probably would’ve contributed to the speed of the drying process. Also, notice I put the cold porcelain onto the plastic surface. This is so it didn’t stick when I needed to lift it up. Front and back. No cracking at all ! This is the recipe that works ! No cracking and you make it quick and easy in the microwave. Only concern I have is the mixing process, which worked well for the youtuber who I saw this from, but gave me a bit of trouble. So, I’m only fire recently… crafting and completing a craft everyday…. 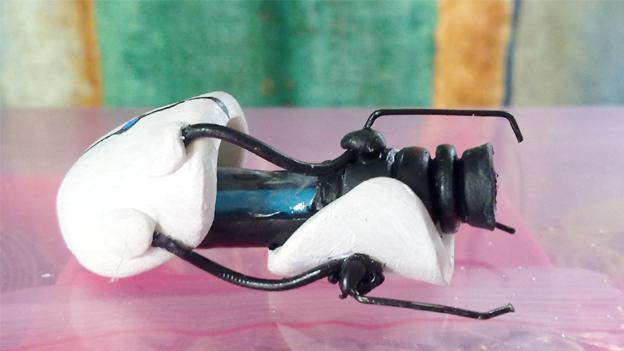 So I made this portal gun. This is just a prototype atm. Now that I know how I’m going to construct everything, I’ll be making the yellow one so yes ^^ Hopefully will be a listing on Etsy. This measures about 5cm long and 2cm in height. I’m off to make the companion cube now ! So I’ve used this method once already and that time completely failed. I didn’t microwave it long enough and the ingredients just wouldn’t stay together. THIS time , I left in for longer. About five 20 second intervals – basically till I had random lumps in the mixture and when I mixed it around, it sort of clumped together into a ball. 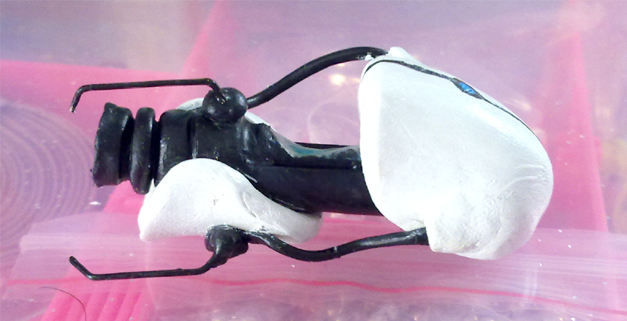 At first, I was like okay, the person said it’ll come together in 10 minutes or so – so I kept going. It didn’t come together. I used lots of lotion and just kept trying to mix it and nothing worked D: It was seriously bumming me out. If I failed this time, I would’ve wasted 1000ml of glue. I got angry and decided to use a WHOLE bunch of cornstarch. Seriously, I think I used 3 cups to mix with. I just sat there mixing it and adding more until it didn’t stick to my gloves. And so more cornstarch was added. Then finally, I realised that MAYBE I was using the wrong lotion – so I went back and took my sister’s neutrogena non-greasy handcream. I finally have a successful batch of cold porcelain. I’m going to use it and let it dry and see if it cracks, I’ll make a review post when that time comes. 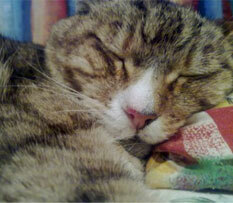 Ah,, I’m so happy right now…. I’ve failed making cold porcelain 4 times already.. 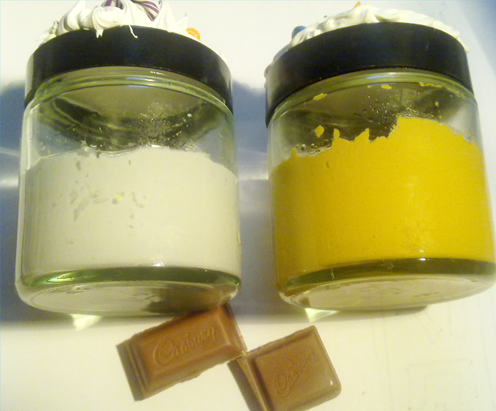 Conclusion : Use non-grease lotion to mix your clay. I tried like 4 different lotions and only this made my clay not turn sticky again. Also, cornstarch… lots and lots of cornstarch. Anyways, this is just some exciting(?) news for me because this might be a solution for saving my moneys on clay. Take equal parts of each colour ( so that means 1:1 ratio). Mix together ! 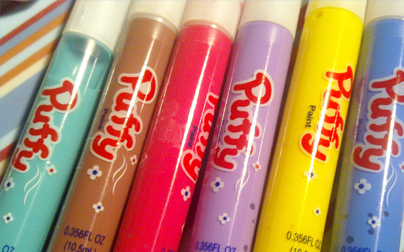 Mix till you have no more streaks in your putty. I have to work quite fast because mine is fast drying. Slowly, push the putty down onto the chocolate. Make there are no air bubbles, and that it’s stuck to the whole surface. Once it’s dry, take the object out. Can you see that the chocolate sort of melted ? TT This sort of made my design less clear…. Shall we try and see what it looks like ? I put cold porcelain in there ! Which one do you think is the real chocolate ? Wahaha, it’s the bottom one. This was the next morning. See how the CP cracked ? It cracked in places where I placed separate blobs and blended them in. The top one doesn’t have any cracks so that means, CP doesn’t crack when you just have one piece ! And there we go ! 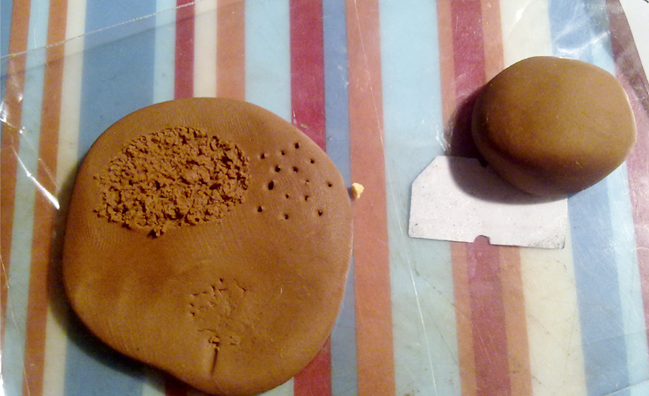 A chocolate mold, and a little test on how well CP takes on detail from the mold. Remember, if you don’t want cracks in your CP, try to just use one piece instead of blending in several pieces. Enjoy and thanks for reading ! Today’s post will be sort of like a review on Cold Porcelain. This is just to show you guys how well cold porcelain takes textures. The textures I will be using are ice cream, cake and bread/cookie. Here is the ice cream texture. 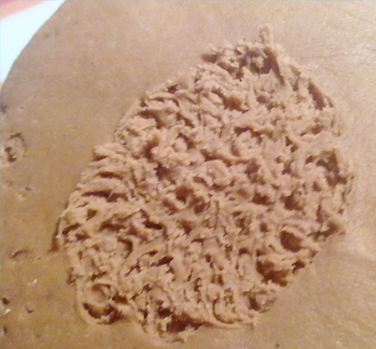 I was actually surprised because, making this texture is wayyyyyy easier than using polymer clay. The breaks were very easy to achieve, whereas, in polymer clay if you handled the clay too much, the breaks would not appear. The only bad thing is the cracking in the clay. When this clay was drying, the top and everything was okay, but at the bottom, there were some very visible cracks. Ofc, this would not be a problem if you made a good batch of CP. The cake texture. You can clearly see that this didn’t go very well…. As you know, CP is very soft, so creating crumbs ( by overlapping the scribbles) was very hard. You can also see the swirly marks made by my needle tool. This just means that, cake texture is not suitable for CP. 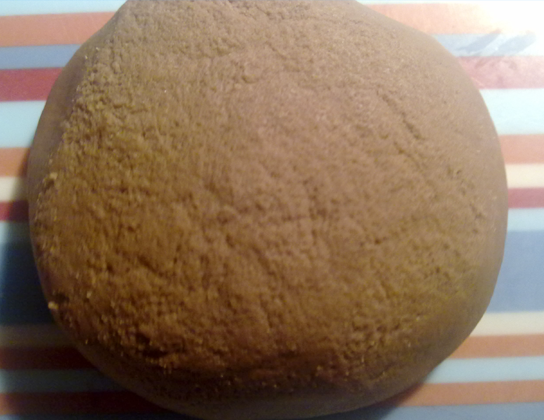 Here is the bread/cookie texture. I think this turned out pretty well. There’s not much more to say. So, if you’ve read my Quick Update post, you’ll see that I had edited it and striked out the “Cold Porcelain, Lying down pink Rilakkuma”. Now, the reason why I don’t really want to post it is because Cold Porcelain is kind of hard to work with. As it an air dry clay, it does dry while you are working on it. If you don’t know already, I always make up things a long the way – this is why it takes long for me to make a creation, and why cold porcelain isn’t exactly suited to me. In the comments of the site I got the recipe off, there were complaints about cracking, and that is exactly what happened to me. Like I said before, the CP dries as you work on it so when I was blending, it did get a bit difficult. 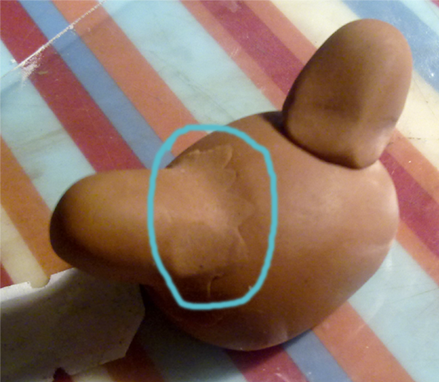 The clay is also quite soft so it does lose its’ shape easily when you handle it a lot. I don’t really think it is a Rilakkuma anymore. It’s just going to be a normal bear D: It doesn’t meet the standard of Rilakkuma ! If you look closely, you’ll see little lines of where I had tried to blend. I didn’t want to press too hard when I was blending because it would have changed the shape. As you can see, the cracks are VERY visible. Again, these are only a couple of hours since I made the bear. It has been a couple of days now, the shrinkage and cracks are even worse.I used toothpicks to attach the head to the body, and you can see a little bit of the toothpicks. The cracks are just mainly where I blended pieces of clay together so I guess CP is okay if you aren’t going to blend a lot. Maybe I overcooked it or maybe this recipe isn’t correct ( the comment said it worked for them), but yeah. This is even worse than my first batch. It’s REALLY elastic and you can’t blend AT ALL…. what am I going to do with all the wasted glue ? I was really looking forward to working with this Cold porcelain…. For now, I’m just going to use it for small things like adding volume to a clay creation or something. I don’t really know..